Dr Constantino Carlos Reyes-Aldasoro visits Mexican universities to meet with fellow academics and students carrying out research in Biomedical Image Analysis. 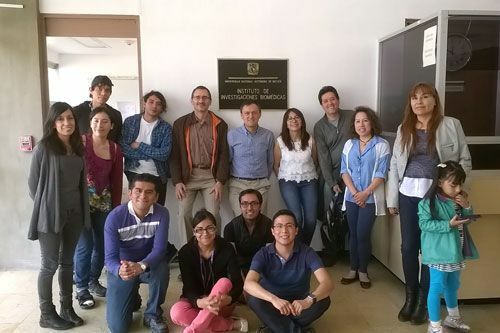 City’s Senior Lecturer in Biomedical Image Analysis, Dr Constantino Carlos Reyes-Aldasoro, explored academic partnerships with several Mexican Universities and delivered a one-week workshop on Biomedical Image Analysis with Matlab, based on his recent book, during his May visit to Mexico. During the month of May, Dr Reyes-Aldasoro travelled to: Universidad Autonoma Metropolitana, specifically the National Centre for Research in Medical Imaging and Instrumentation; Instituto Politecnico Nacional and the Computing Research Centre; Universidad del Valle de Mexico; Instituto Tecnologico Autonomo de Mexico; and the Universidad Nacional Autonoma de Mexico. At each of these universities, which comprise public (UNAM, UAM, IPN) and private (ITAM, UVM) institutions, Dr Reyes-Aldasoro delivered a seminar titled “Biomedical Image Analysis: Personal experiences in Cancer, Microcirculation and Immunology”. After the seminars, Dr Reyes-Aldasoro met with students interested in postgraduate studies in the UK as well with academics who were interested in establishing international collaborations. In addition, Dr Reyes-Aldasoro delivered a one-week long workshop on Biomedical Image Analysis with Matlab, a training course based on his recent book on the topic. 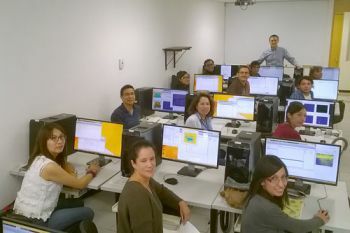 The workshop was organised by Dr Angelica Zepeda, a neuroscientist from the Instituto de Investigaciones Biomedicas, supported by Mathworks, who provided Matlab® licences. UNAM assisted with travel expenses. Medical image analysis is the science of analyzing medical problems based on different imaging modalities and digital image analysis techniques.